As we enter into the peak of our season here in the northern hemisphere, I know that many of you are looking forward to the upcoming major championships awaiting us. From youth racing events to graded events to class championships – it will be an exciting time ahead. Myself, I have managed to get some sailing in at the Dragon Gold Cup in Helsinki last week, it was a pleasure racing in a fleet of sixty top trimmed crews and Dragons with a super team of race officials making the best of very challenging weather conditions. With Helsinki Segelklubb as the host we were in good hands, as they have many years of experience since being founded in 1899! After a great Volvo Ocean Race finish, it will also be good to see the many Olympic sailors returning to the Olympic circuit and starting their campaign towards the Tokyo 2020 Summer Games. It will definitely be worth seeing if their previous experience and added skill-set will strengthen their Olympic berth. While the road to Tokyo 2020 will be a good indication, I believe that we must continue to be proactive and better plan the calendar of major sailing events. This must be a priority and by doing so, we can support our sailors as they participate in our many “Majors” from different classes, from dinghy to keelboat and Ocean racing events. As always, I hope you enjoy reading this month’s newsletter and getting further insights into the activities and events happening at World Sailing, as well as the future outlook for our sport. I look forward to seeing many of you at the Sailing World Championships and wish you all good and safe sailing! Once again, this pinnacle event was a great success with more than 382 sailors from 66 nations competing for the top prize. 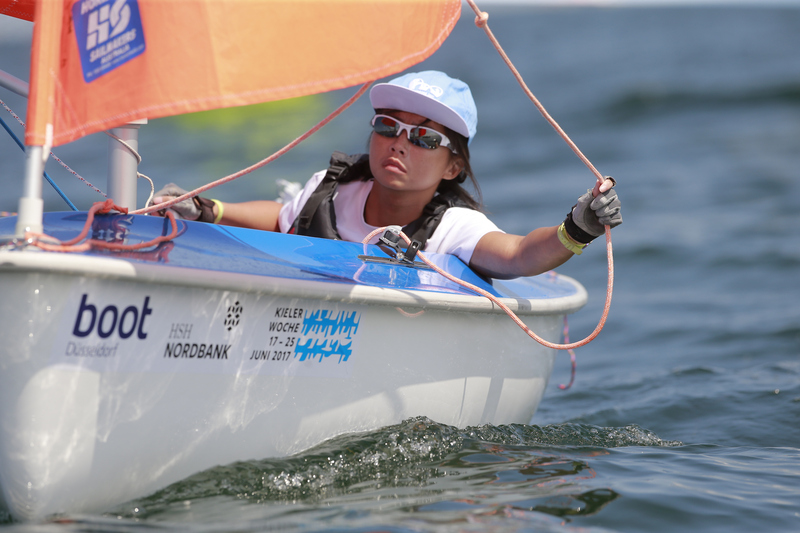 Since the start of the Youth World Championship in Angelholm, Sweden in 1971 this event has come a long way from seeing 16 nations competing for the inaugural titles in the two-person dinghies, 420 and Flipper till today where 105 different nations competed in the Youth Worlds. From Auckland New Zealand in 2016, to Sanya China in 2017, to Corpus Christi US in 2018 and next year to Gdynia Poland; our Youth World Championship continues to travel throughout the continents maintaining a high participation rate and strong standard which indicate positive growth for our sport. I would like to offer my personal congratulations to the host and organizing committee at Corpus Christi on a job well done! Together with the many volunteers onsite, the Sailing Youth World Championships have once again been a memorable one for all the sailors. I am sure that many new friendships have been built and that the dreams of competing internationally has already begun for many young sailors. For the very first time in World Sailing history, the new ORC & IRC Combined Offshore World Championship was hosted by the city of The Haag. 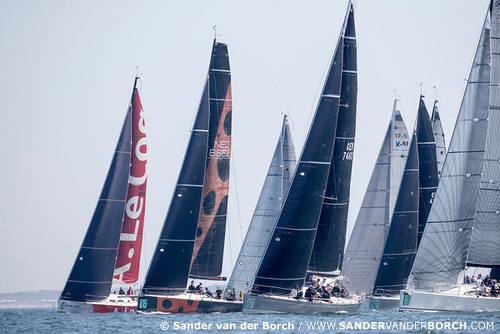 An Offshore event “born” by combining the efforts and knowledge of the two leading handicap systems, ORC & IRC, into a combined Championship has paid off with a great regatta enjoyed by all sailors. The racing itself was performed on different types of yachts, ranging between 9 and 20 meters in length. With 9 class a, 27 class b and 49 class c teams racing in hi-tech yachts, the handicap system gave each yacht a handicap as defined and refined year on year. This new Championship proved to be a great event providing passionate Offshore sailors with the platform to meet and enjoy the comradery and competition. Next steps for this event will be to review the input and output generated from the two rating systems of the competition for the benefit of future regattas. Earlier this month, I had the pleasure of visiting Gdynia, Poland for the Volvo Gdynia Sailing Days. What a fantastic event it was, with 870 teams in six classes including the 29èr, Laser U21 Worlds, Nacra 17 Europeans, 49èr Europeans, FX Europeans and Laser 4,7 Worlds for a total of 430 boats racing! This event clearly shows the potential we can achieve when we combine class championship events. 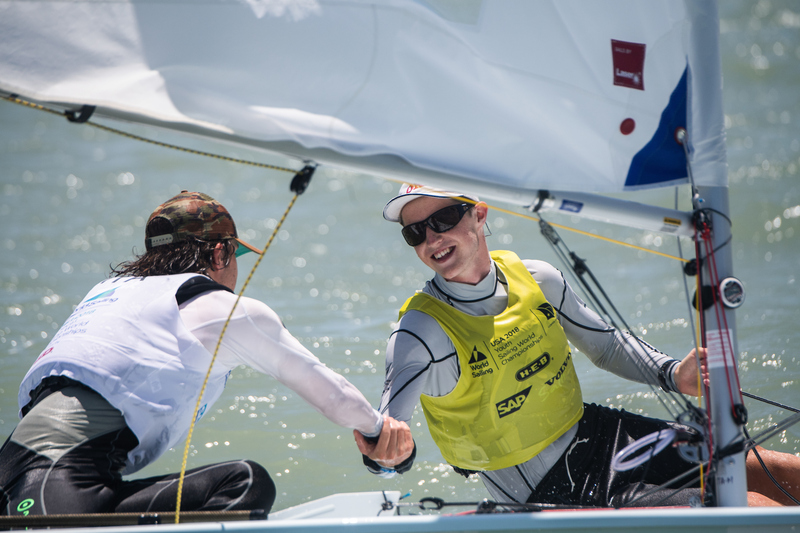 Sailors can meet one another, and in this case, for many youth sailors this was also an opportunity to meet their Olympic heroes and at the same time increase the public profile of sailing worldwide. The dedicated team from Gdynia continued their hosting duties a few weeks after when they also hosted the 505 Worlds which included 135 entries, clocking three full weeks of competitive sailing for the city of Gdynia. I cannot express what a fantastic job they did, congratulations to all involved - great work! Coming up this September we will be kicking off the 2018 Para World Sailing Championships in Sheboygan, USA. The entries are steadily building, to date we already have 86 Para Sailors from 41 nations with more to come. However, I would like to stress how important it is for all MNA’s to support the participation of your athletes in this event. We understand that because of our lost Paralympic status that funding is limited, however World Sailing is in the midst of our bid to reinstate Para Sailing at the 2024 Olympics, therefore your strong support and participation is essential if we are to be successful. We look forward to a great event this September and I hope to see many of your athletes competing on the waters! Media coverage - Looking at the media coverage of our sport I am thrilled to see the high-quality standards being applied in combination with quality footage and the use of graphics. This is providing a strong platform for promoting our sport, especially on mobile devices. To be able to follow our races, like the TP 52 Worlds or the World Cup final live around the world on second screens is a great way to stay in touch with our sport and with fellow sailors. I would encourage the sailing community to use the high quality footage produced to promote the diversity of our sport on various channels in your own countries. 2024 Olympic Program – Recently the Executive Board (EB) of the International Olympic Committee (IOC) approved an innovative event program for the 2022 Beijing Winter Olympic Games. The program will feature the addition of new events, as well as new mixed team formats and the inclusion of the highest ever representation of female athletes at a Winter Games and reduction of the athlete quota below the maximum number specified in the Olympic Charter. By creating a youth-oriented program, these approvals signify a step towards achieving the 50 percent gender balance at the Olympic Winter Games for both athletes and events, which is a clear objective of Olympic Agenda 2020. Click here to read more. While these decisions are specific to the Winter Games, they can be good indicators of what is to come for the 2024 Paris Summer Games program, where the existing athlete’s quota is the limit and new events will be included which will add pressure on existing events. So we at sailing must continue to be innovative ourselves. This means looking at the events selected in May by our World Sailing Council. We made a major step forward by including three new mixed events and now we need to finish the job in November by getting the right mix of events, equipment and formats approved in order to create a strong Olympic program for 2024. 2018 Sailing World Championships – As we countdown to the final days before the start of the Saling World Championships, I am proud to say that the World Sailing team and the Organizing Committee in Aarhus is ready to welcome the world. You can keep up with the latest races on our Youtube channel and support your fellow Sailors – follow us here.